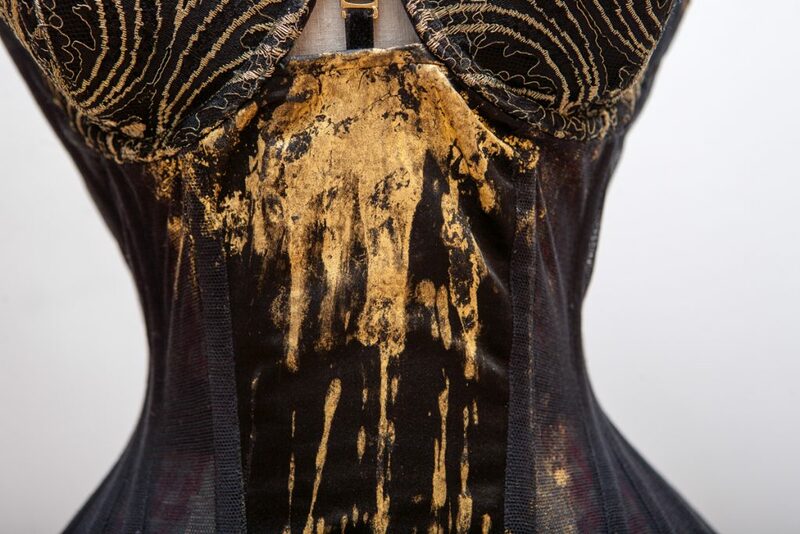 Silk duchesse, cotton bobbinet tulle, French leavers lace, 24ct gold leaf. 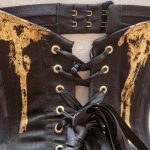 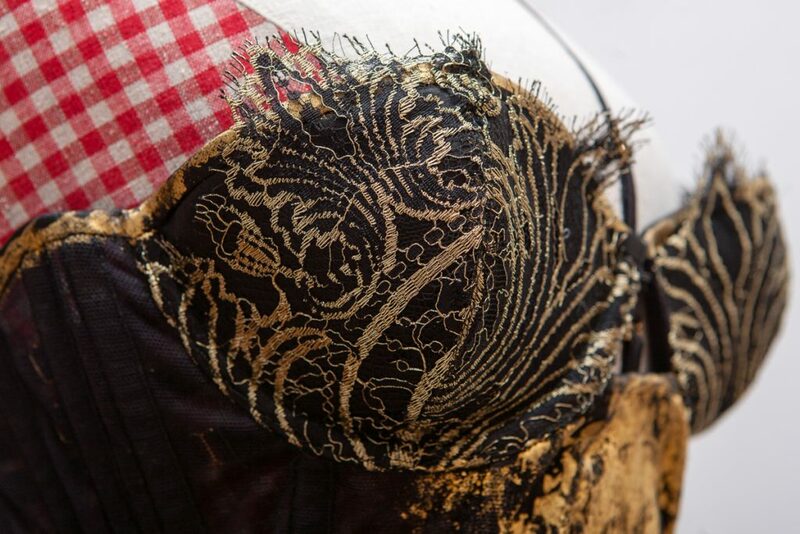 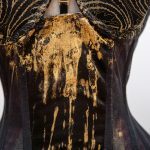 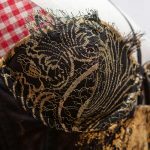 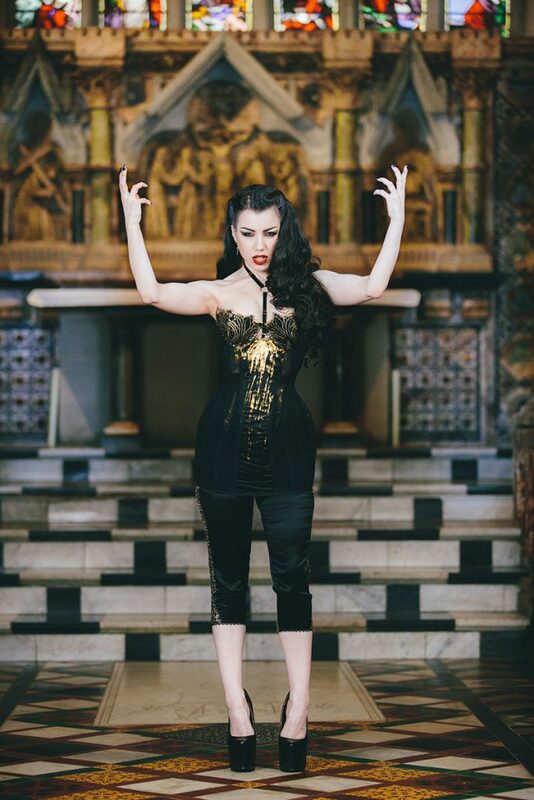 This corset dress was created in the run up to the Oxford Conference of Corsetry 2014, and incorporates multi-panelled bobbinet tulle construction, French lace-overlay, bra-fit cups with keyhole cut out and hand-applied 24ct gold leaf. 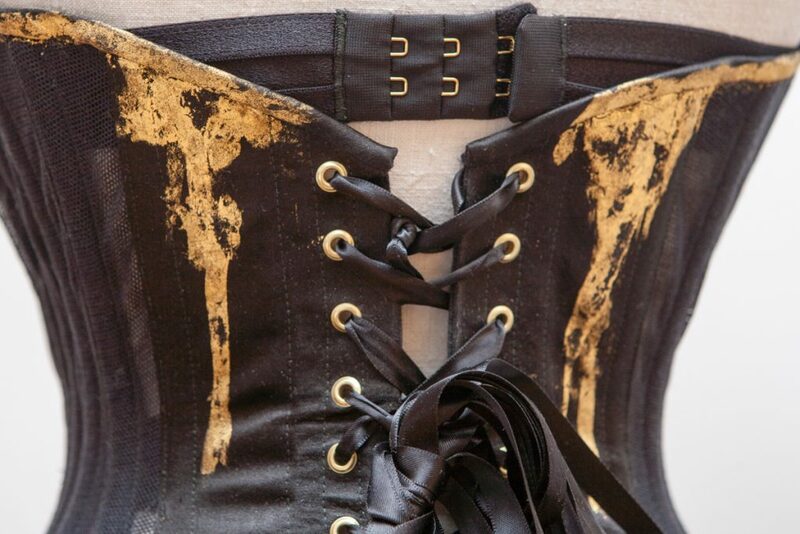 Read about the creation process of this corset here.